mental callusing, i like that. sick the last two days, no running. i felt good this morning but my head starting hurting again at lunch. fml. EDIT: taking tonight off as well. headache has gone down but i can feel it lurking. would be dumb to push it. on the plus side i signed up for a 5k fun run next weekend. not chip timed but there will be other people in it. just stretching out the legs after the forced layoff. knees killing me after the run. very weird. somehow managed to strain my back, right at the base of the spine/SI joint. was stiff all day yesterday. gf massaged a bit with some warming balm last night and i took an ibuprofen. it feels better today but still stiff. wack. i will run tonight, gently, and then i've got to head up to the mountains tomorrow for work. may be able to run on thursday night when i'm back in gilgit and will do something very light on friday, maybe with low-volume speed mixed in. not an ideal taper for the fun run on saturday, to have training drop off a cliff for two weeks. but what can i do. EDIT: biblical thunderstorm, no leaving house. that small clip you posted was intense. damn @ back, hope it's nothing. back was feeling better for a couple days but started to hurt again this morning and appears to be fuxored for now. i went for a walk tonight and tried to jog lightly, without success. fml. back still stiff but not crippling this morning, could stand up straight right out of bed. went and got a 90-minute massage from a woman i heard about through word of mouth. she's a pro, felt amazing/painful/amazing, signed up for ten sessions. back not healed but feels better. drinking plenty water. rested yesterday. this evening did some mobility and a few BSS and scales. back still a little sensitive but i'm going to do a light and short run tomorrow to test it out. Respect for bothering to do something about back issues. I finally went to a chiropracter for the first time ever this spring and I've never felt better. no doubt. i also needed a push from my gf, fwiw. nice and easy and short, don't seem to have regressed too much. stiff and achey to start but felt fine after a couple of kilometers. the masseuse encouraged me to start SMR'ing again so i'm gonna do that for a while. the former is easier to address than the latter. but i do not want to get much skinnier than i am and the benefits of strength training for endurance performance are indisputable. i also don't want to dip much below 50 km a week in any week where i'm healthy and not traveling. what to do? the "or" options are for working out at home where i basically have a kettlebell and some bands. this is probably overly ambitious. but even one strenf day a week would be better than what i'm doing now. i know adarq says kenyans don't lift but even if true i'm not ready to go full kenyan. didn't worry about pace, ended up averaging 4:58. quads a little bit sore. kenyans do alot of speed though... that's their lifting. tons of hills at hard paces (fartleks/long runs/tempo), hard track workouts etc. So, while they don't lift, they beast out hard af throughout the week. Their running economy is what stands out to most everyone who watches them run, that's because they are insanely strong at running. but ya, keep the strength. you're not a "runner only" (yet? 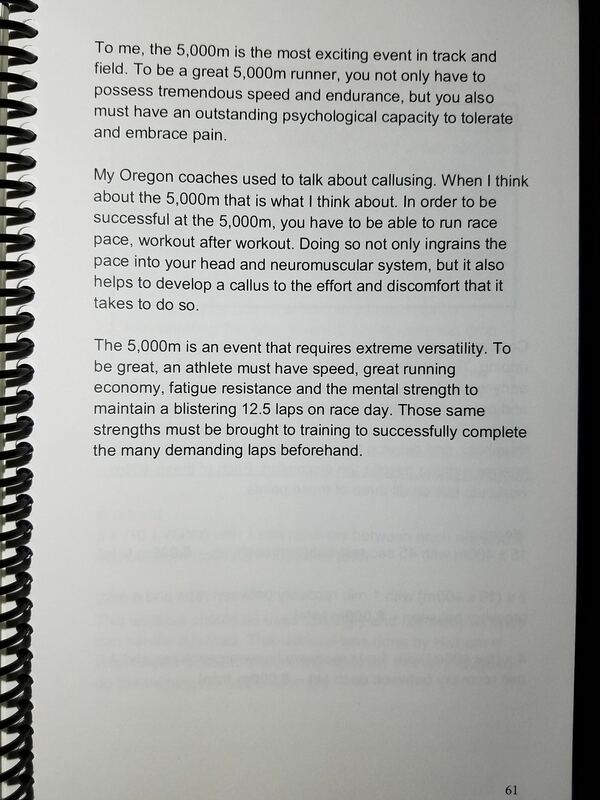 - though, I think you'd be more of a short to shorter-mid distance guy eventually, than a long distance runner, just from your mindset/mentality). I've become a runner only, so I don't really need it. You also like your physique, play ultimate, and just like moving weight around in general - so don't starve yourself of that! as for your routine, it's hard to say.. really hard to comprehend "static" routines and such, especially now. Though, I do somewhat still think in terms of that "ratio" article I wrote way back. As a general example, if you want to be 75% runner, 25% lifter, do 3:1, repeat. The only "static" day you have is ultimate, it seems (when the blokez ball out). Can't mess with that much. just have to be a bit careful with strength + run, especially given the tweaks you've had recently. for me personally, i'd want to get my runs in the AM, with some lifts afterwards, or with lifts in the evening. dno if that helps at all.. hah. hope it does! that is super helpful! must consider.